With urbanisation at its peak and population density in major cities reaching frustrating levels is it any wonder that more South Africans are choosing to move away from the chaos to a quieter life? Country living is becoming increasingly popular as an alternative to the madding crowd. According to global statistics company Statista, there has only been a 5.22 % increase in urbanisation over the period from 2006 to 2016. In 2017, the City of Cape Town announced it was introducing a new initiative that would allow its employees to work flexi-time or ‘telecommute’. Doing so would ease congestion for those working in the City and travelling between work and home. A study conducted by the City found that on average, Capetonians spend about 40 days in traffic per annum, a number significantly higher than the rest of the country. While the number may seem astounding, it has led to the City introducing this initiative and also calling on the private sector to consider introducing flexi-time with their employees. With working remotely, flexi-time and a greater push toward work-life balance, country life then seems to quickly gain appeal. This is not a phenomenon that is limited to the retiree generation. Young families and young, single professionals are exploring the idea of living further from the city in order to create a clear distinction between work and home and take the strain off having to spend several hours in traffic, on congested roads. Since the start of the industrial revolution, the tendency has been for individuals to flock to the cities in their droves to search out gainful employment. There are people that have harboured the desire to move to the country but have never given the matter serious thought as the lack of employment opportunities proving to be the prohibitive factor. Technology is changing the employment landscape as companies are willing to hire individuals that are located all over the globe but that are dedicated to the collective company goals. Online collaboration and telecommunications connectivity have created a virtual office wherever you may be. This is one of the leading factors in the de-urbanisation movement, according to IrisXYZ and Regus International, approximately 63% of South Africans work remotely in comparison to the global average of around 54%. Another very pertinent motivator for considering a country lifestyle is the vast array of recreational and lifestyle activities on offer in the outlying areas of Cape Town. 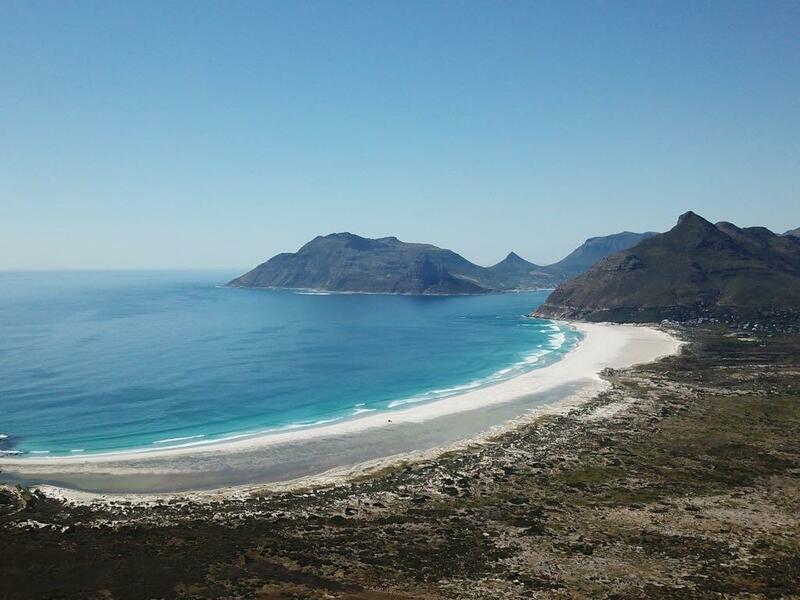 Areas like Kommetjie and Hout Bay are excellent surfing spots with a very relaxed, community orientated lifestyle. While many towns along the Breede Valley route such as Roberston, McGregor and Ashton also offer a relaxed, community centric lifestyle. A notable trend would be for individuals to have the best of both by having an apartment or pad in the City as well as a country home to escape to on the weekends and holidays. Areas such as Robertson and McGregor are extremely popular choices for the young and the young at heart. Both located at the heart of the Wine Route, they offer a range of lifestyle activities from hiking to skydiving and are famous for their wine farms and eco-tourism. Entrepreneurship and the desire to be your own boss has seen the demand for smallholdings and farms around Cape Town rise quite sharply over the past 3-5 years. The opportunities presented by these properties are quite diverse and range from micro-breweries and wineries to designer restaurants and guesthouses. The economic ecosystem of the Western Cape has nurtured a new generation of small, medium and micro-enterprises that make an invaluable contribution to the economy. These enterprises usually make exclusive use of natural, organic substances and practice sustainable farming methods thereby ensuring extended longevity of the businesses. The ability to work from home appeals to the flexible lifestyles and natures of Generation Y's as well as millennials. According to Forbes, the working from home phenomenon has increased by over 80% in the last 10 years and has seen roughly a third of working millennials telecommuting to work at least two days out of the month. Add to this the benefit of minimal travel and a cloud-based office space and you have a winning strategy that appeals to a large sector of the tax-paying population. When one considers the growing importance of environmentalism and eco-friendly living, then the option of moving to the country becomes that much more viable. Renewable energy sources can be more easily installed and utilised e.g. solar, wind and hydroelectric power. The idea of being off the grid completely appeals to millions of people along with the potential to create dams in catchment areas and drill boreholes and wells if necessary. While big City life still has a great appeal, country life is showing a healthy resurgence. And it is with that in mind that you should think about where you’d want to put down roots.